Several of our previous webinars have been recorded for your convenience. Click the links below to download them. Wander will discuss her career journey and the importance of networking, the business benefits of a diverse workforce and how to build and be a part of one. She will also discuss how these 2 tools have had a positive impact on her campaign for IEEE President. In addition, Wanda is using this as an opportunity for your input! She is interested in asking what you would like to see out of her as IEEE President to support WIE and women in IEEE. Wanda Reder started at S&C Electric Company in 2004 as VP of Power Systems Solutions and is now the Chief Strategy Officer. Prior to S&C, she held various power delivery leadership positions at ComEd / Exelon and Northern States Power. Wanda is a member of the US Department of Energy’s Electricity Advisory Committee, is on the IEEE Board as Division VII Director and on the IEEE Foundation Board. Wanda is the Founder of IEEE PES Scholarship Plus Initiative, a Signature program that has provided 733 scholarships to 466 students. She launched the IEEE Smart Grid, now enjoying over 27,000 LinkedIn and 11,000 Twitter followers. Wanda was named a Distinguished Engineer at South Dakota State University in 2007, was the first female President of IEEE Power & Energy Society in 2008-2009, became an IEEE Fellow in 2012 and received the IEEE Power & Energy Society Leadership and Meritorious Service Awards in 2012 and 2013 respectively. In recognition for exemplary service, she received the IEEE TAB Hall of Honor Award in 2013 and the IEEE Richard M. Emberson Award in 2014. The electric grid is undergoing transformations enabled by the integration of new technologies, such as advanced communication and power electronic devices, and the increasing penetration of distributed generation. There is a declining electric load growth due to, e.g., increased energy efficiency, customer self-generation, and low natural gas prices. Small and utility-scale renewable resources, such as solar and wind distributed energy resources, batteries, plug-in electric vehicles (EV), have begun to complement large coal, gas, and oil-fired power plants. Customers require increased reliability and power quality, more energy management capabilities, and decreased electricity costs. Such changes introduce a new paradigm in the cultural infrastructure of power systems, which requires a great deal of cooperation between utilities, power generation companies, consumers, governments, and regulators. In this webinar, the process of developing transformational grid control algorithms and architectures that optimize the usage of flexible load and distributed energy resources as well as the leveraging of physical assets and communications network infrastructure to develop the utility of the future will be discussed. The electric grid is currently undergoing a significant renovation process towards the so-called smart grid, featuring larger hosting capacity, widespread penetration of renewable energy sources, better quality of service, and higher reliability. One of the major aspects of this modernization is the widespread deployment of dispersed measurement, monitoring, and actuation devices. High-speed, fully integrated, two-way communication technologies make the grid dynamic and transactive for real-time information and power exchange will create a near plug-and-play environment. The deployment of smart devices and communication technologies enable the introduction of powerful data analytic capabilities, such as state estimation in distribution systems and unbalance monitoring. In this presentation, various aspects of the aforementioned will be discussed. ComEd and a local community- Bronzeville, are collaborating to bring a host of technologies and services – current and future – to create a “smart community” in which the energy system – and the many uses of its digital network – is localized and human-centered, with power that is ultra-reliable and can be generated and controlled at the community level. Residents and businesses will benefit from new technologies such as a microgrid, community solar gardens, and a network of EV charging stations amongst others. Anyone interested in learning about ways the utility company at Chicago is leveraging the grid, and the other innovative technologies that ComEd is working on. Adrienne Grier is the Manager of Smart Grid Programs for Smart Grid & Technology at ComEd. She is responsible for managing (a) development and evaluation of business cases for emerging technologies, (b) business transformation activities associated with full scale deployment of approved technologies and (c) development of a Smart City platform for ComEd including management of a Community of the Future initiative. In her prior roles, Adrienne served as principal project manager & executive assistant to ComEd President & CEO Anne Pramaggiore; principal compliance specialist assisting in the development of a state and local compliance program and support of two key witnesses in ComEd annual formula rate update filings; principal internal auditor for Exelon and external auditor for accounting firm now named RSM US LLP. Adrienne holds a BBA in Accountancy from Loyola University Chicago and is a registered CPA. As a part of the webinar, we discussed career paths for women in the energy field, our experiences, career paths and we gave examples of problems we try to solve. We talked about Engineering/Energy Systems as a Positive Career Choice for Women, about work which lies at the intersection of engineering technology and policy and work which lies at the nexus between energy systems and public health. Also we discussed energy-saving-oriented measures in the built environment, essential to attain the climate change agenda obligations. Virginia Gori is currently PhD student at the UCL Energy Institute, where she also completed a Master of Research in Energy Demand Studies. The focus of Virginia’s MRes and PhD is the implementation of a novel method to estimate the U-value of a building element from monitoring campaigns on real buildings and the investigation of the uncertainties associated with it. Virginia holds a bachelor degree in Building Engineering from Università degli studi di Firenze (Italy). Her bachelor dissertation focused on the prediction of the heating energy needs of urban neighbourhoods. This project, based on the “Raster Cities” approach first introduced by Prof. Carlo Ratti and Prof. Paul Richens, started during a visit at the Senseable City Lab at MIT (USA) and resulted in several publications.Virginia’s research interests include energy demand reduction in the built environment and sustainable design, both at the urban and building level. She is also interested in exploring the physics of building elements by means of monitoring campaigns and simulation models to assess the thermodynamic performance of the building envelope. Melissa C. Lott has worked for more than 10 years as an energy systems engineer and consultant in the United States and Europe. She specializes in technology, economic, and policy analysis, in particular related to energy system efficiency optimization. Before joining the University College London, Ms. Lott worked at the International Energy Agency and was the primary author on the IEA’s Technology Roadmap on energy storage. She has also worked on federal-level energy policy as a Presidential Management Fellow at the U.S. Department of Energy and at the White House Council on Environmental Quality. An active writer and public speaker, Ms. Lott currently writes for Scientific American’s “Plugged In” blog. She also serves as an advisor on Alstom’s International Science and Technology Committee. In 2013 Forbes Magazine named her as a “30 under 30 in Energy”. Ms. Lott holds two masters degrees – in Mechanical Engineering and Public Affairs – from UT Austin in addition to a Bachelor of Science in Biological Systems Engineering from the UC Davis. She is currently a Doctoral Researcher at the UCL’s Institute for Sustainable Resources in London, United Kingdom. Marianne Zeyringer joined the UCL Energy Institute as a Research Associate in November 2013. She is part of the whole systems energy modelling consortium (wholeSEM). Before coming to UCL, Marianne had been working for 3 years at the European Commission Joint Research Centre- Institute for Energy and Transport. She has been pursuing joint doctoral studies on spatially and temporally explicit energy modelling at Utrecht University and BOKU University, Vienna. During her PhD she also participated in the Young Scientists Summer Program at IIASA where she was working on a spatially explicit electricity model for Kenya. Before, Marianne had studied “Environmental Technology” as well as “Economics” in Vienna. She has work experience with various national and international organisations working on energy issues such as IIASA, the United Nations Division for Sustainable Development and the European Bank for Reconstruction and Development (EBRD). IEEE Smart Village has been striving to get basic electrical services to a million people in 5 years, in the most underserved regions of the world, through renewable energy sources. Its ultimate goal is to get electrical services to 50 million people in the next 10 years. However, IEEE Smart Village aims to go beyond just lighting and electrical services. Through its model of partnerships with local NGOs and Entrepreneurs, it strives to create local businesses and local jobs. Through its initiatives in education and community based solutions, it aims to create community development with lasting change. All these initiatives make IEEE Smart Village unique, in the sense that it is going ‘beyond the light bulb’ to create truly Smart Villages around the world. This talk will introduce IEEE Smart Village and its various initiatives to achieve its vision. Electric Utility Crossroads Includes Renewables, Storage, and a Workforce in Transition. 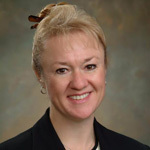 Wanda Reder started at S&C Electric Company in 2004 as VP of Power Systems Solutions and is now the Chief Strategy Officer. Prior to S&C, she held various power delivery leadership positions at ComEd / Exelon and Northern States Power. Wanda is a member of the US Department of Energy’s Electricity Advisory Committee, is on the IEEE Board as Division VII Director and on the IEEE Foundation Board. Wanda is the Founder of IEEE PES Scholarship Plus Initiative, a Signature program that has provided 733 scholarships to 466 students. She launched the IEEE Smart Grid, now enjoying over 27,000 LinkedIn and 11,000 Twitter followers. IEEE/PES Technical Committee are part of an industry that is revitalizing and re-inventing itself for the 21st Century. IEEE PES and its Technical Committees are at the forefront of these significant and exciting efforts. This presentation will share Technical Council and Committees activities, successes and plans for the future. Do you want an unfair advantage you can see, hear and feel in every aspect of your life? Whether you are an engineer, accountant or IT professional, discover how to see the real meaning in your daily interactions. In this webinar, you will learn three simple skills you can immediately use to achieve positive results and communicate better, in any situation.